We have gone through a path where dumping the good old hard disk drive in exchange for a solid-state drive (SSD) is the quintessential choice. Of course, moving one’s beloved files to a new storage device could be like playing with fire to some people, especially to those who wish to see more evidence of SSDs’ reliability. That’s why Transcend brought out the ESD220C to existence – to reach more people by pricing it low, choosing a size that fits in anyone’s pocket, and plugging a USB connectivity for flexibility. Although SSDs design doesn’t matter that much, ESD220C’s body texture is worth noticing due to its added grip and handle, proving Transcend’s dedication to anchor its portable SSD to outgoing users. 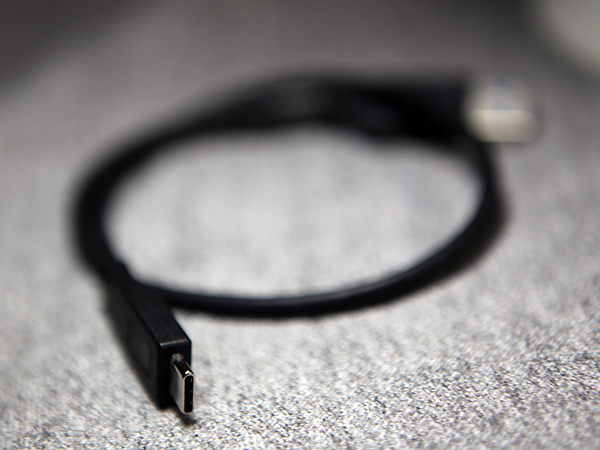 As shown above, it measures just 77mm in height, 55.7mm in length, and 9.6mm in width. For scaling purposes, the ESD220C’s size matches your credit card’s measurement, which is a perfect complement to the drive’s 52g weight. 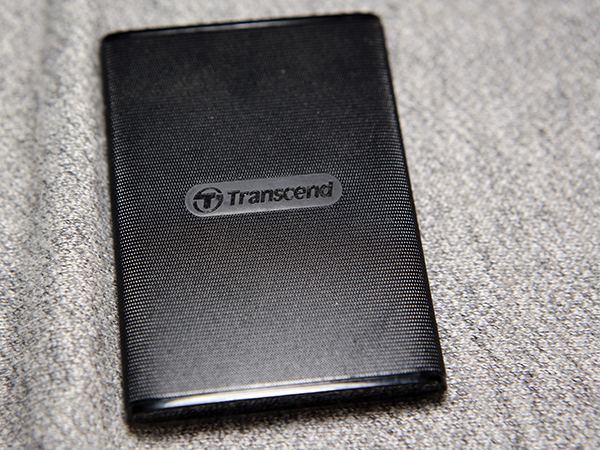 Transcend also describes this SSD to be “powerful” with the ESD220C’s LDPC coding and RAID engine protecting the device. Moreover, a built-in wear-leveling technology spearheads the security of data during its transmission to prolong the lifespan of the drive. Our most favorite feature of the ESD220C is its on-the-go (OTG) capability. It plops a USB Type-C port together with an included USB Type-C to Type-A cable for your mobile devices. 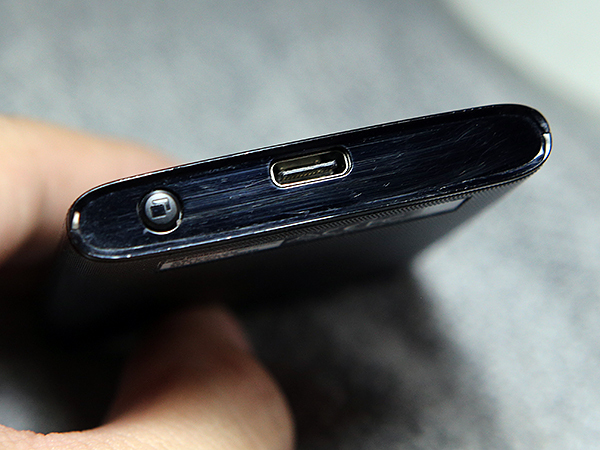 Lastly, there’s a one-touch backup button sitting next to the USB Type-C port. This button quickly backs up your designated folders from your PC to the ESD220C, an extremely useful function when you’re in a hurry. Before anything else, let us mention ESD220C’s storage media type: it is a TLC NAND flash memory. TLC, or triple level cell flash, stores three bits of data per cell and is less expensive compared to other types, making it a lovable choice for consumer devices that uses solid-state storage. By definition, Sequential (or Seq) is how the disk reads and writes large multimedia files measured in megabits per second (MBps) or one-eighth of one megabyte (1mb). Using the score dropped by the ESD220C in CrystalDiskMark, this drive can read 48mbps and write 23.3mbps, a decent score for the entry-level version of this SSD series. 4K, on the other hand, measures the drive’s read and write speed of multiple small-sized files using kibibyte (KiB) – a hair-thin smaller than kilobyte (kb) unit. This test is significant to processing your operating system’s startup reading configuration files and other settings. With how the ESD220C performed, it’s quite shorter than expected and we’re curious what the other versions (the 240GB and 480GB) have to offer. The 4KQ32T1 and SeqQ32T1 reads and writes from random locations of the disk compared to two tests above that read and write in a steadier manner. 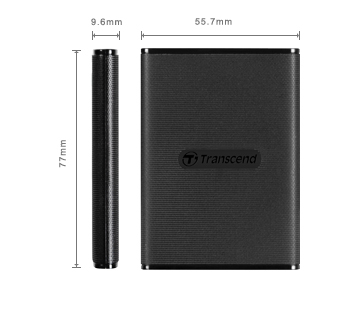 Unfortunately, we couldn’t find the exact local pricing of the Transcend ESD220C. Yet, this drive surely belongs to the must-have lists for outgoing consumers, and we expect to receive better results when we test its 240GB and 480GB brothers.